Looking for your WordPress user ID? 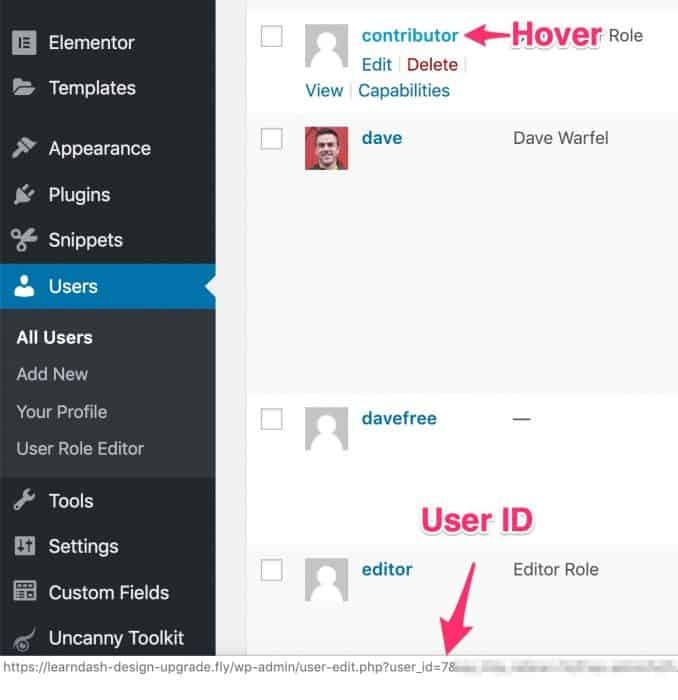 Need to find the ID of another subscriber, student, or customer on your WordPress site? It’s easy, and I’ll show you two different ways to do it. 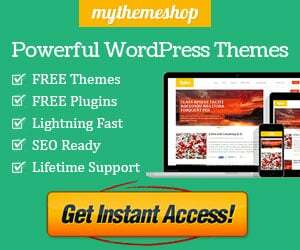 The plugin method will also make it easy to access WordPress page & post IDs, as well as all of your custom post types. It can be really useful. This is the quickest way that you can find a user ID right away. You can use the “Search Users” bar in the top-right corner to search by name or username. The number immediately following user_id= is the WordPress user ID. In this example, the user ID is 7. You can also click on the user’s username, and look in the URL bar at the top of your screen. You’ll see the same thing. The user ID is the number located immediately after user_id=. So that’s the simplest & fastest way to find a user ID out-of-the-box. But if you need to access them on a regular basis, you might find this simple plugin to be of great value. This plugin is super-simple, and incredibly helpful if you use WordPress IDs often. Not only does it expose WordPress user IDs, but it shows IDs of posts, pages & all your custom post types, as well. This column will show up for all post types, including posts, pages & any custom post types you are using. But you can easily hide it on a screen-by-screen basis. The column is now hidden for that particular screen. If you need WordPress IDs often, I highly recommend the plugin approach. If you need any help finding WordPress IDs, let me know in the comments and I’ll help you out. 2 Commentson "How to Find a WordPress User ID"
In my site I have created one user but the user have not received any email about creation and that particular user is not visible in “All users” tab. So is there any way to edit that user details. Shilpa — If the user doesn’t appear on the “All Users” page, then they don’t exist. Something must’ve happened when you tried to create their account.